$279.95 from PaulCBuff.com as of this writing. I have the amazing Alien Bee B800 pictured to the left from Paul C. Buff for two reasons: 1) When you can afford it, you should upgrade to these lights as your core strobes. They are awesome. 2) To share with you that you have to start somewhere and that the kit that I am putting together in this post for under $475 includes (2) stands (2) umbrellas (2) 300ws strobes (1) Room to purchase a case. In other words, for around $100 less than two Alien Bees, you have a full kit or go the cheap alternate route and get a full kit for the price of one Alien Bee B800. But by all means, replace the light heads that I have listed for the kit with two Alien Bees at the same power either now or in the future. I think you are better off purchasing the most power you can afford which is why I have two less expensive 300WS heads listed in the kit and why I have the B800 at 320WS pictured to the left for equal power at two different price points. Whether you are building your own kit or putting one together, you never know what you are getting unless 1) Someone you trust recommends it or 2) You can actually put your hands on the equipment in the local camera store. However, I'm sure it's out there, but I have never seen a kit for under $475 that I would like better than the one I am recommending in this post because I am familiar with the equipment that I am recommending. FYI, before I dive in, I am not trying to recommend the rock bottom cheapest of everything. As a matter of fact, none of the equipment that I am recommending in the just under $475 option is the cheapest you can find. I do have some alternate options listed to get the kit under $275 which is an additional $200 less, but going the cheapest route is rarely the best option. I have seen too many cheap stands, cheap umbrellas and cheap light heads in my time to NOT want to recommend complete JUNK to any of my readers that will not last very long. Most of the cheap stuff feels cheap in your hands. I have left out a case in this post for the equipment because you will likely want to shop around for that. However, I have factored it into the price and left in an additional $100 based on all the equipment below coming out to about $375. Personally, I have bought NUMEROUS used hard golf cases off Craigslist (be careful) that will hold the kit that I am recommending below. Most of the golf cases were $30 to $60 each. With some padding bought locally for around another $15, you'll have yourself a nice case. In Raleigh, NC, the padding can be purchased at Mill Outlet just off of US1 between I540 and Durant Road. 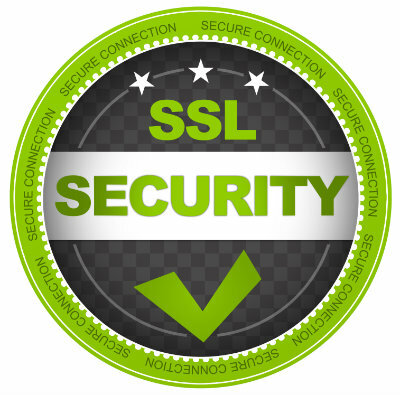 Please keep in mind that if you the links below do not work for some reason that you can search online to find an alternate link and/or search the recommended source. 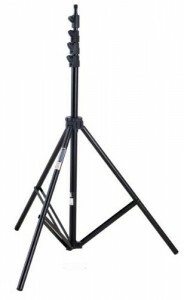 The stands: Giottos LC325 10.7 feet 4-Section Air-cushioned Light Stand buy on Amazon. This is a WELL MADE stand that I absolutely love for the money. I personally on several of these stands and would not buy another similar stand other than this one. It feels good, looks good and works well. This stand should last you for YEARS. There is one thing that I have learned about the stands that is worth sharing here. They have an allen screw at each adjustment section that can come loose with use, but can easily be tightened back. Cheap stands don't have an option like this. A friend of mine bought several of these stands based on my recommendation and loves them as well. He saved about $20 per stand over the ones that he considered buying prior to my recommendation. The price as of this writing is $58.99 x 2 = $177.98 ... You can get two cowboy stands for under $30 if you want to go el cheapo. Although not recommended, go super cheap and save nearly $150. The Umbrellas: Photoflex Umbrella Convertible 45" buy on Adorama. 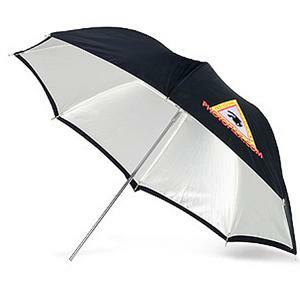 I personally have 4 of the 60 inch versions of this umbrella which are quite large. In general, a 33 inch umbrella is a very popular size; however, I thought that I'd go kind of in the middle with a 45" version. Like the stands previously mentioned, these umbrellas are WELL MADE. They should last you for years. I like the build quality of both Photoflex and Wescott umbrellas. Those are the only two brands that I would purchase for the money and quality combination. The price as of this writing is $41.24 x 2 = $82.48 ... You can get two cowboy umbrellas for under $40 if you want to go cheap. Although not recommended, go cheap and save over $40. 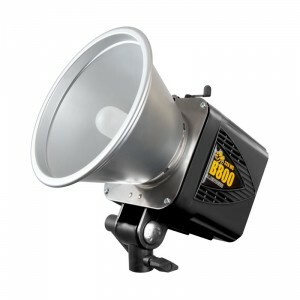 The lights: NEEWER® 300 Watt Studio Strobe/Flash buy on Amazon. varying power knob and a ready light. It takes 2 to 3 seconds for the unit to recycle on full power. With this unit, you can also tighten the screw around the rod on the umbrella. On a lot of cheaper units, you don't have that option which can present an issue when tilting the head. BUT that's only on other units that don't have the option. With this one, you are set. The ONLY complaint that I have about this unit is that the buzzer recycle sound CANNOT be cut off. So you will here the BEEP every time the unit is ready to go again. The only time that this may present an issue is if you are shooting something that the noise could annoy people. However, if the noise is annoying, the strobe might be as well. Under normal circumstances, you should be fine. The price as of this writing is $86.95 x 2 = $173.90 ... If you want to go cheaper which I don't recommend, you can get these two 180ws strobes off of ebay for $88.90 which is an $85 savings. 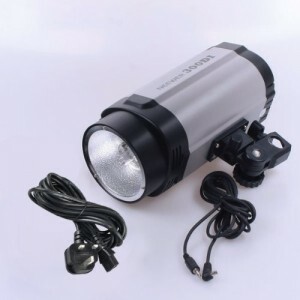 However, the lights feel cheaper, are not as powerful and don't have the screw to tighten down on the umbrella. It's a spring action instead. But they will do the job. To close out, the nice thing about going with the Giottos Stands and the Photoflex umbrellas to start with is that when you are ready to upgrade to the Alien Bee B800 pictured to the right is that you will not have to upgrade your stands and umbrellas as well. If at all possible avoid going with the cheap stand and cheap umbrella options listed and start with something nicer that will last you for years. In addition, you will not have to worry about putting your new B800 on the Giottos stand with the nice Photoflex umbrella because it will all work well together. Eventually you will need a 3rd light head as either a back up or to use a 3rd light as a hairlight, background light, etc. But to start with, you can get a lot done with a two light setup. Once you upgrade to the B800's, your two previous lights become extra lights in your kit and that's how you build up equipment over time. If you enjoyed this post, please use the SHARE features below to SHARE the post on multiple platforms.